Claassen Leggings And Art Sale! 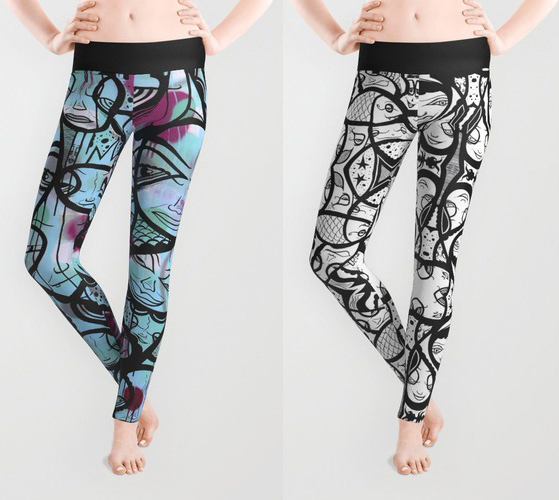 New Leggings and Art Sale! I now have leggings available through Society 6! Click the above photo or visit http://society6.com/jeffclaassen/leggings for sizing and order info. A quick word about Society 6. They handle all the orders on the shop I have with them. They manufacture everything, ship everything and take care of all customer service needs. For Memorial Day Weekend they are offering 20% off and free shipping on all apparel items (leggings, shirts and hoodies), tote bags, phone cases, mugs and tapestries. My images are available on all of these products (and more). And I'll let you in on a little secret. Now is good time to order because Society 6 has different manufacturing warehouses for all the different items they make, so you usually have multiple shipping charges when you order multiple items. Take advantage of their free shipping whenever they offer it. Obviously, now is especially great because you can also get 20% off. Since they are offering such a great deal I thought I'd join in on the fun and offer the same deal on my own shop. 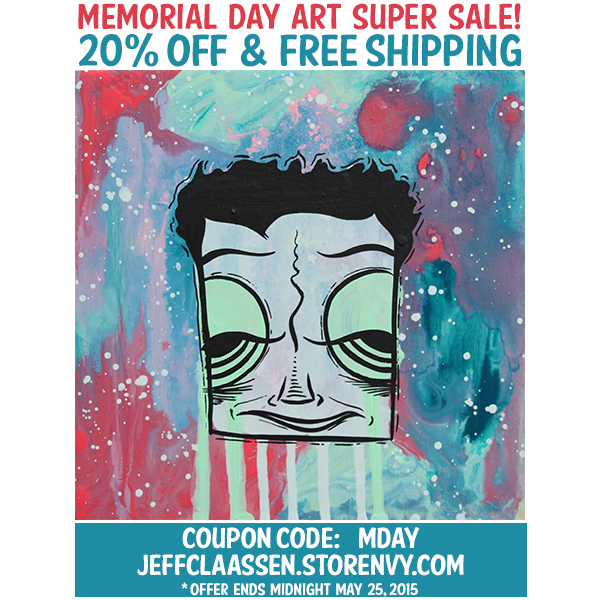 Click the above photo or visit http://jeffclaassen.storenvy.com to start shopping! I have a lot of stuff available including original paintings, limited edition prints, hand painted leather keychains, handmade wallets and a bunch of other fun stuff too. The free shipping will be automatic, but for the 20% off you will need to enter the coupon code MDAY during checkout. - My studio mates at The Bunker are planning a big party/art show for the end of June, so please be on the lookout for that. - The Artisan mural got some press. - A recent stump painting commission. I still have three more to do at this house, but am ready to start painting any stumps you might have too. - Dropped off 14 pieces at Fiona Bleu in Morro Bay CA a couple of days ago, so they are fully stocked. Thanks so much for your support! Have a fun and safe weekend!